Whether your home has French doors, sliding glass doors, or windows above bathtubs and radiators, we have ideas! 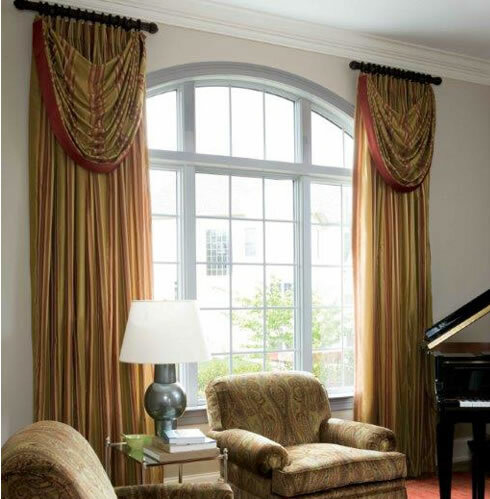 Since 1948, we have been developing the expertise in custom window treatments that challenging windows require. Extra tall windows are softened with semi-sheer Ripplefold panels suspended from an Architrac rod. Or choose extra-long pleated draperies scaled to complement the proportions of the room. Yes, Roman shades can fit an arched window! Calico installs them on a wood frame that is custom cut to follow the curve of the window. 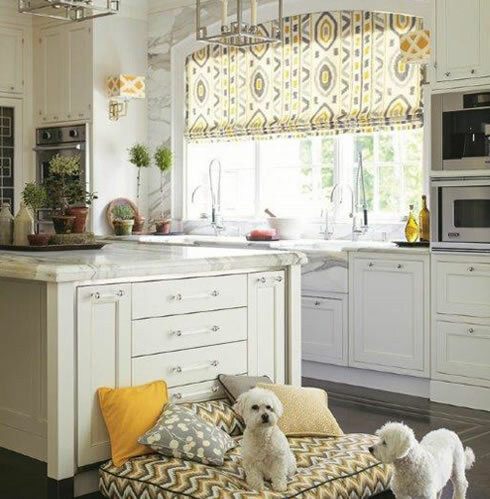 Bay window treatments can manage all the angles with a custom rod. 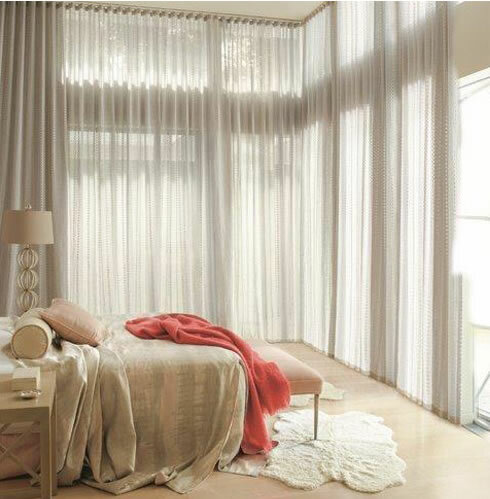 Draperies can retreat during the day to expose the window, but provide complete privacy at night. Stationary side panels flank an arched picture window to frame a view. Bustle swags dress up lush fan-pleated draperies and add a custom touch.